No new art so far. Life has been proving a touch difficult since August. But, in the midst of it all, the furkids I keep make life a little brighter. 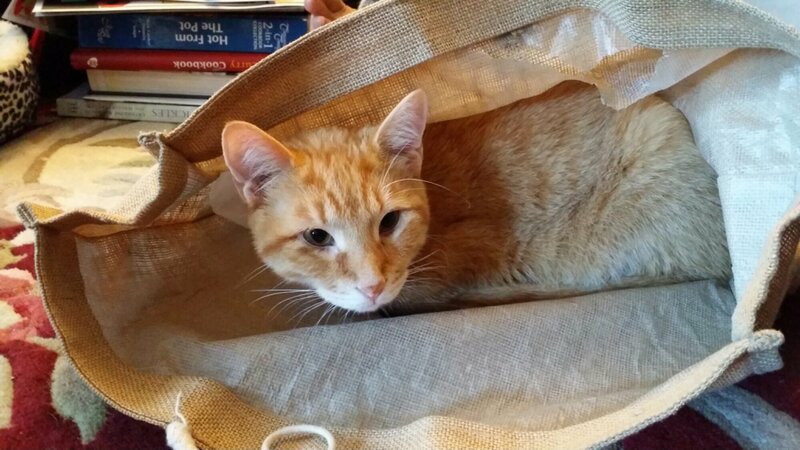 Orion; my brother’s orange tabby in his man cave (a burlap shopping bag).